QRM | Quad Infotech Inc.
Automatic tracking of operational events such as delays, equipment usage, production parameters, scale weights and more. The typical recycling plant consists of a series of interdependent operations. These operations may run in parallel or series depending on the plant configuration or quality specification. Usually, the shredders generate a mix of ferrous and nonferrous outputs which then go through a series of different processing units as more material separation occurs. 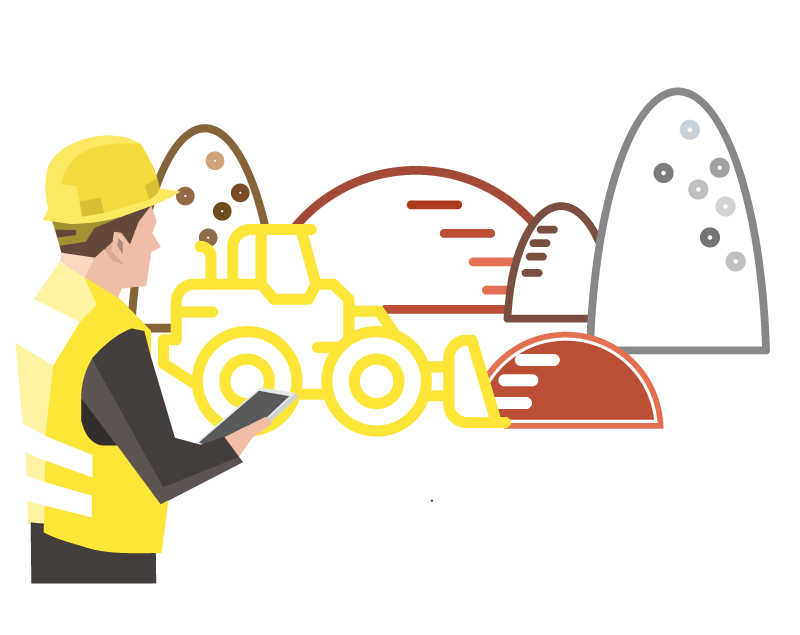 Planning, scheduling and managing the operation of the entire plant while tracking the activities of each individual unit requires a central system that can communicate globally with the entire operation. The Quad Recycling Management system (QRM) introduces fresh concepts and methodologies for the recycling operations and creates a fully linked transparency for all production units.  In doing so, the QRM enables a high level of accuracy in tracking of production and consumption material as well as KPIs such as yield, utilization, efficiency, uptime and more. 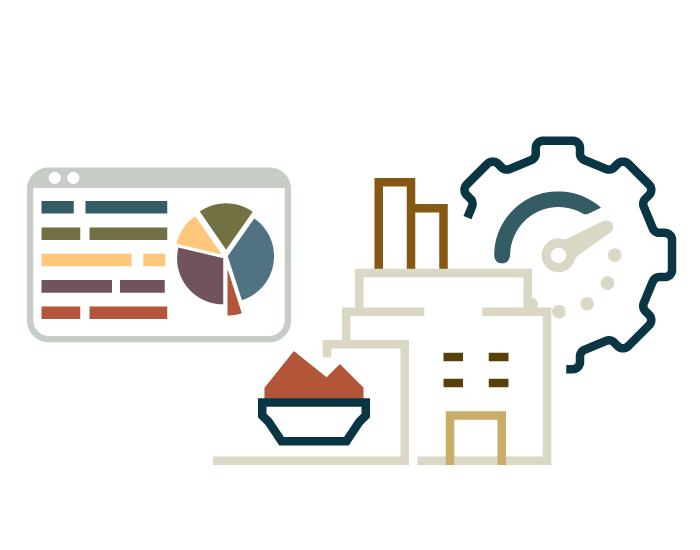 Managing of the raw material inventory as well as production inventory is among the wide range of capabilities that QRS provides. In addition to the operational capabilities, QRM provides full functions for planning and scheduling of each production unit along with performance goals. Availability check and cost optimization raw material is another aspect of the planning functions of QRM.  QRM links with the automation layer and enables for continuous collection of any number of process parameters for process monitoring and historical purposes. 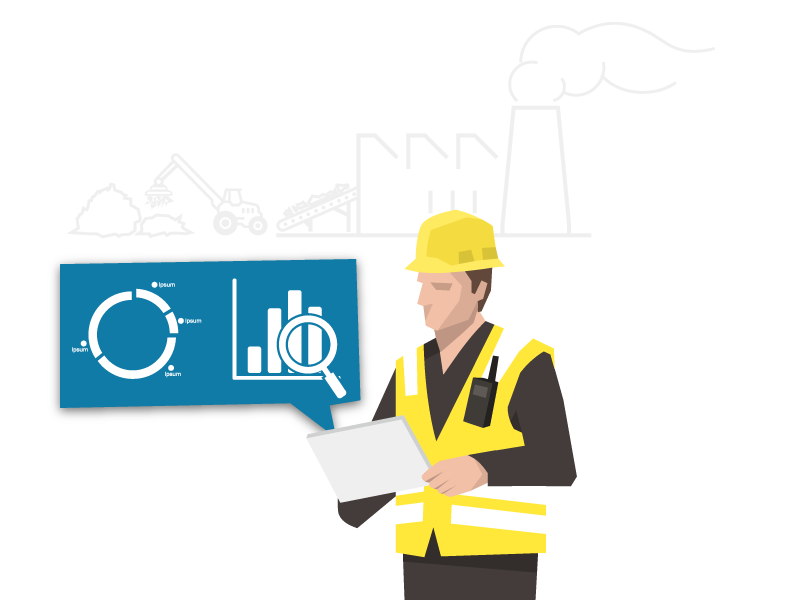 Full analytics of the process parameters facilitates targeted troubleshooting and process improvements. It also provides complete delay management and analysis which is essential for failure analysis and process improvement initiatives. Production campaigns enable the recycling facilities to create long term production planning. Having a long-term plan provides several advantages. First, it allows the purchasing and procurement departments to have a clear outlook on the raw material needs. Second, the process engineers can specify the process, performance goals, SOPs, and other instructions specifically for a campaign. Throughout the campaign, these goals are monitored, and adjustments are made where necessary. QRM manages the recycling operations of each work center into blocks or batches. 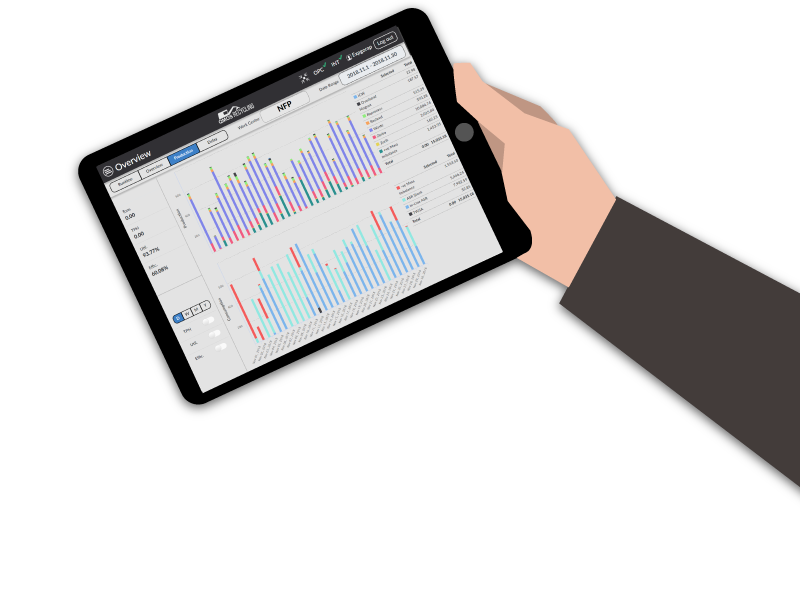 This allows for more accurate tracking of production events, mass balancing and yield calculations. Also, the produced material can be traced more accurately for any quality control or trouble shooting purposes. QRM provides the ability for the facilities to specify desired SOPs for each process. As the mobile loaders move the material around, they are typically equipped with the hardware to record the weight of each load. In such cases, a report of all the weights is printed at the end of the shift and manually entered in the system of record. QRM automates this process by communicating with the onboard scale system through a QRM tablet installed in each loader. All movements are recorded and transferred to the QRM system in real time. QRM provides a graphical view of all the piles and their contents. All piles and material movements between them can be managed through the QRM intuitive user interface. 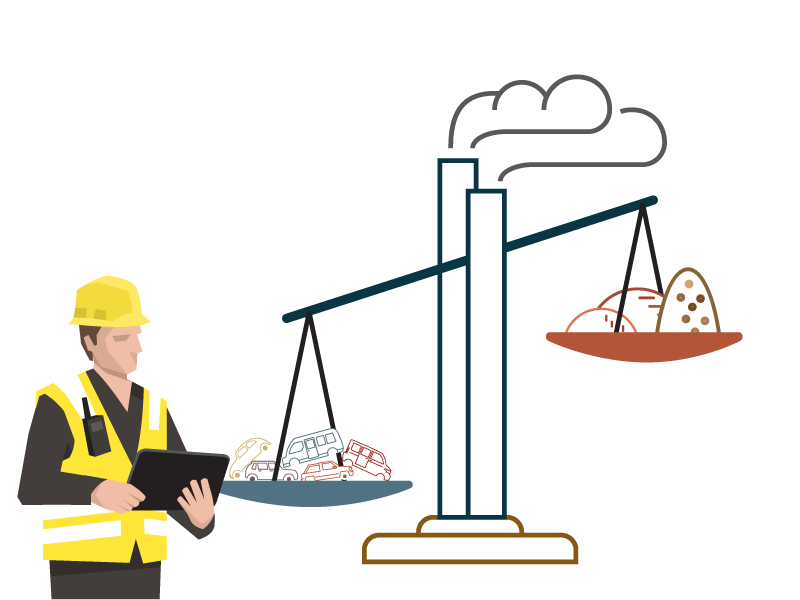 Material inventory can be fully monitored and managed by QRM. The users get the graphical birds-eye-view of the inventory and can drill down to see details of each pile. The full detail of the material in each pile as well as the movement history is available. QRM provides a multi-layer, hierarchical delay structure which is customizable based on each plant’s configuration. The delay structure may include details such as Area, Equipment, Observation, and more. QRM automatically detects and records the start and end of each delay. Based on the level of automation, the delay details maybe automatically or manually entered. 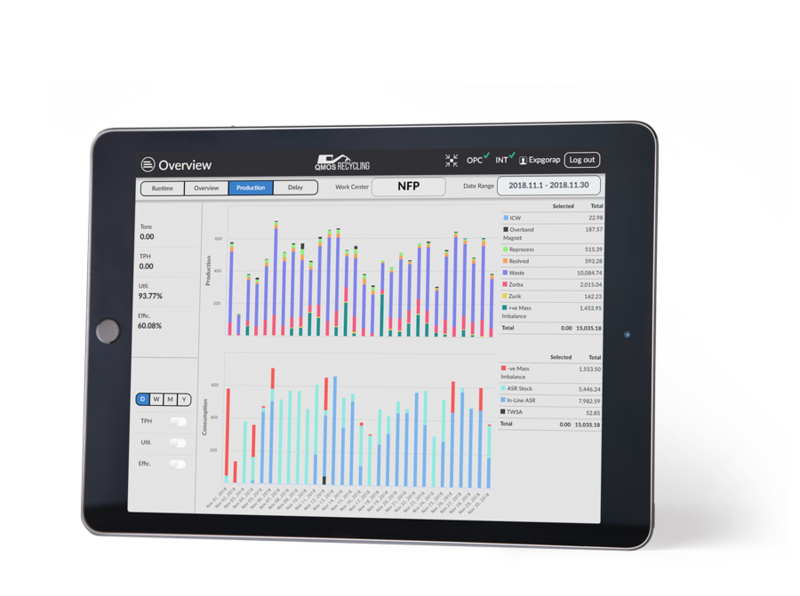 The manual entry is done by the operators through the intuitive and user friendly QRM graphical interface. QRM can track the inventory of all machines and equipment in the recycling plant. All equipment usage is automatically recorded in real-time by tons and hours used. As the equipment usage reaches its budget, proper notifications are provided to let the users know to prepare for equipment change. One of the main challenges of recycling operations is balancing the consumed material with respect to the produced ones. 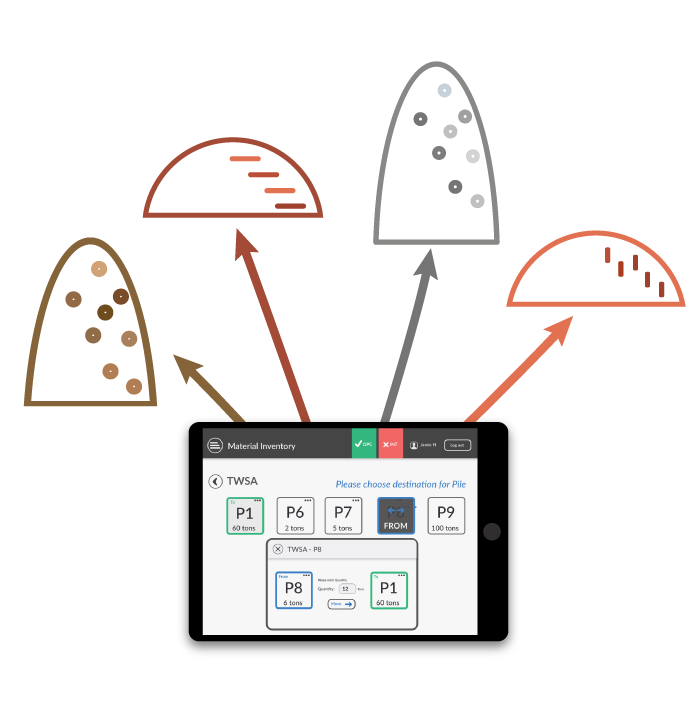 The fact that a material can be processed in serial or parallel through multiple work centers simultaneously, adds to the complexity mass balancing and reduces the accuracy of the results. The QRM system provides a series of tools and procedures to facilitate the mass balancing process with great ease and accuracy. During the production process, several different quality and yield tests are performed to measure the quality of the produced material as well as the process yield. These sample tests are critical for ongoing process improvement as well as ensuring high levels of product quality. 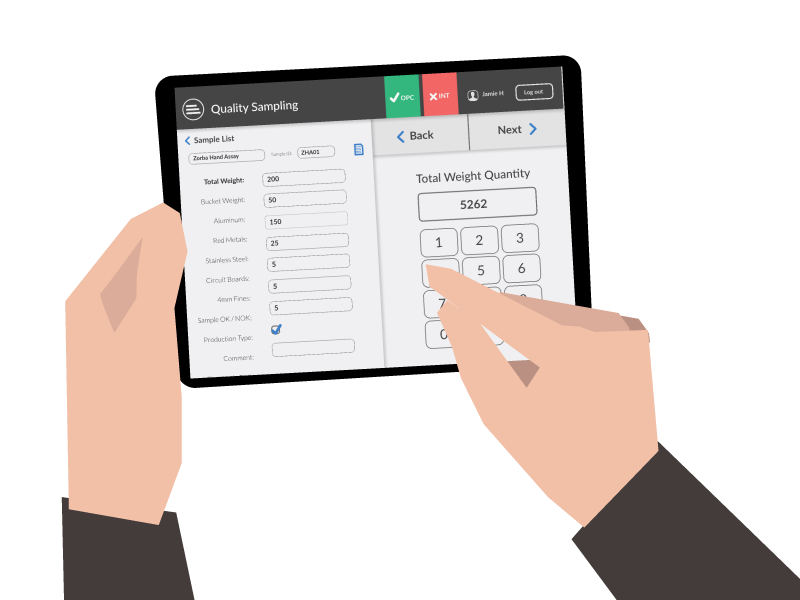 The QRM provides the ability for the testers to record their results in real-time giving the operators the necessary feedback to make quick changes to the machine settings or part changes if necessary. 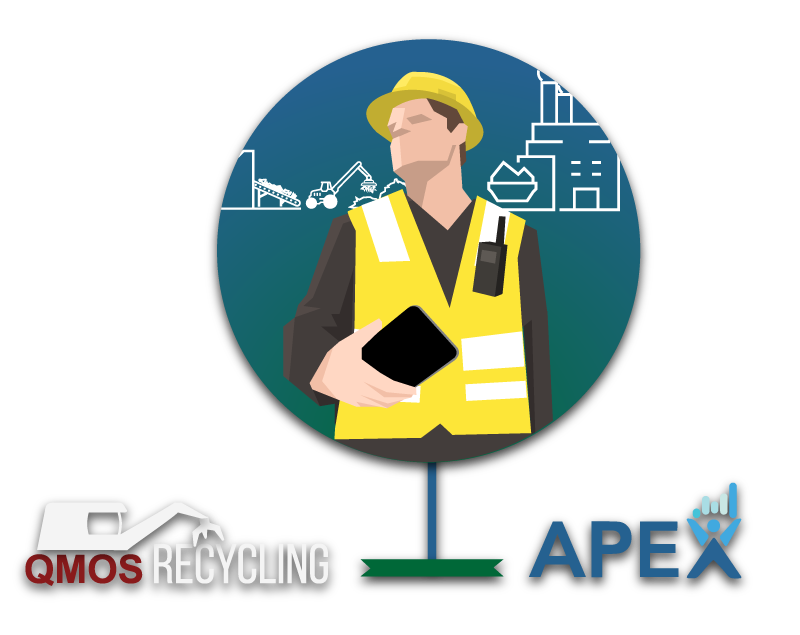 Since the operation of a recycling plant consists of number of work centers with varying of interdependencies, it is typical for a single operator to be responsible for multiple work centers. 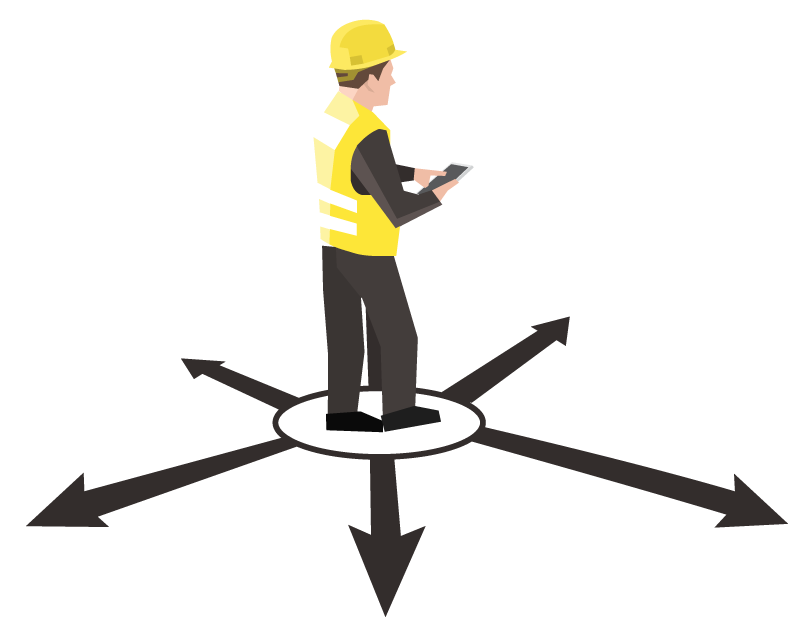 As a tablet-based system, QRM is designed to give the operators maximum mobility. The intuitive user interface enables the operators to easily switch between work centers and reach the information they are looking for. Now operators can physically move from one production unit to the next and have all the information at their fingertips. Combine the power of QRM with the capabilities of the APEX Digital Factory and change the game. APEX will bring incredibly effective and powerful capabilities to your operation. 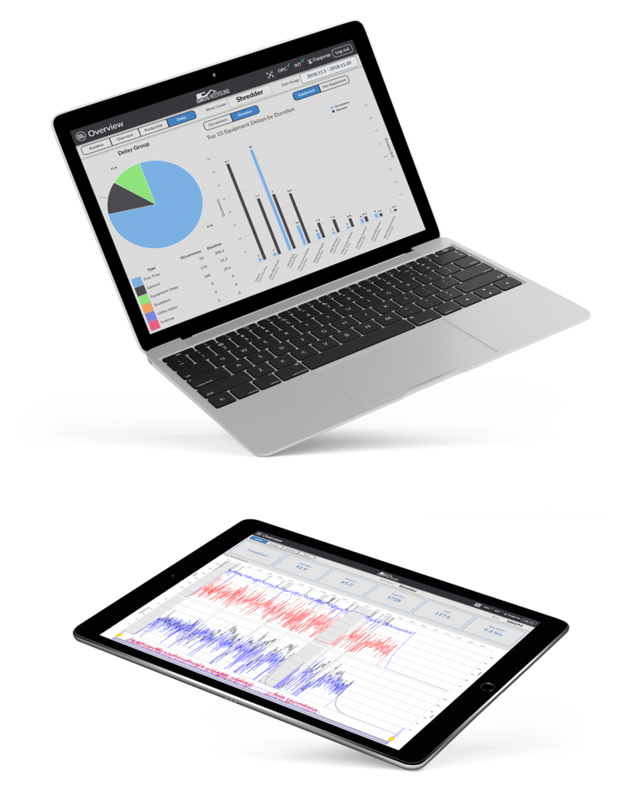 Thanks to the APEX easy and intuitive tools, more users can be involved in the process of generating critical information for various process needs. APEX also brings unprecedented visibility and awareness towards all aspects of the process and performance throughout the entire operation.